I wrote the comprehensive rules for Crazier Eights at one point, but it is a bit too long and overwhelming to include with every copy of the game, and the main idea of the game is supposed to be very simple. Packing every single possible clarification into the rules is also probably unnecessary, but I would like to make sure the rules can determine everything that happens in a satisfying way for both very casual players and those who want to know the game in a very in-depth way. 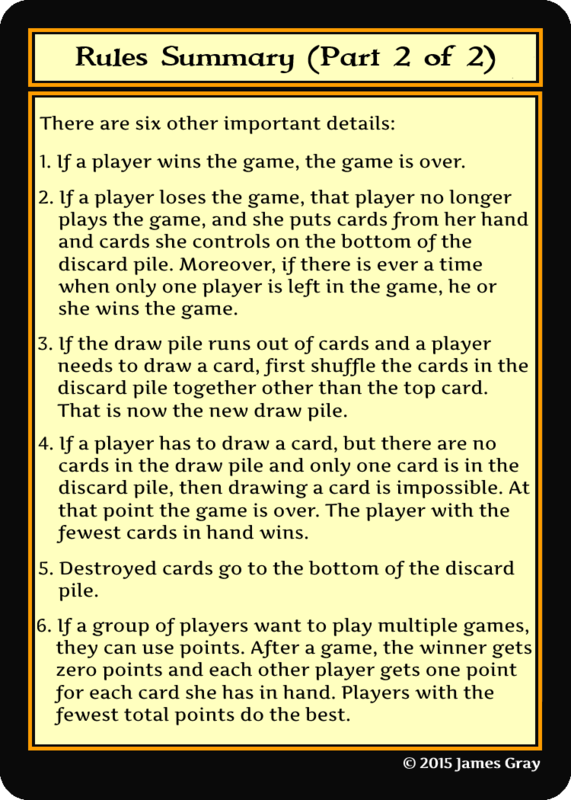 I think the current version of the rules document I just finished does that for the Second Edition of Crazier Eights. You can take a look at it here, and let me know what you think. 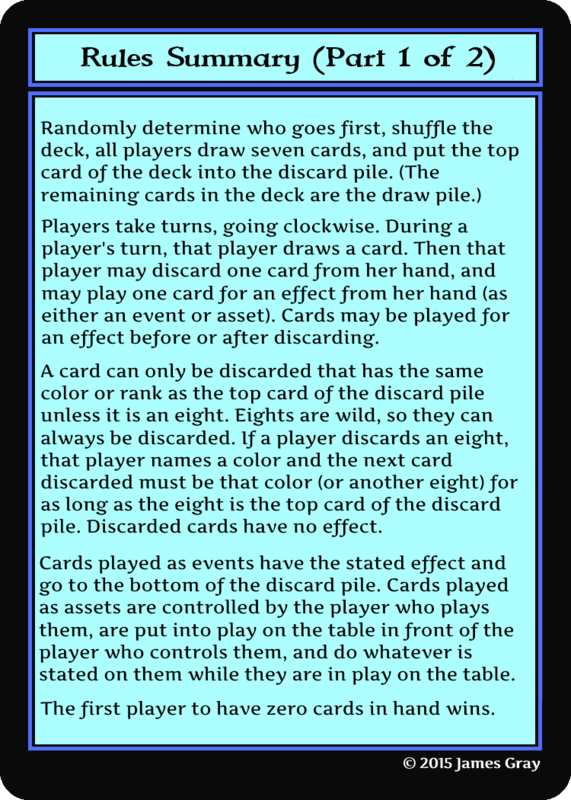 Update (8-26-15): I added a clarification that you discard and play cards from hand. 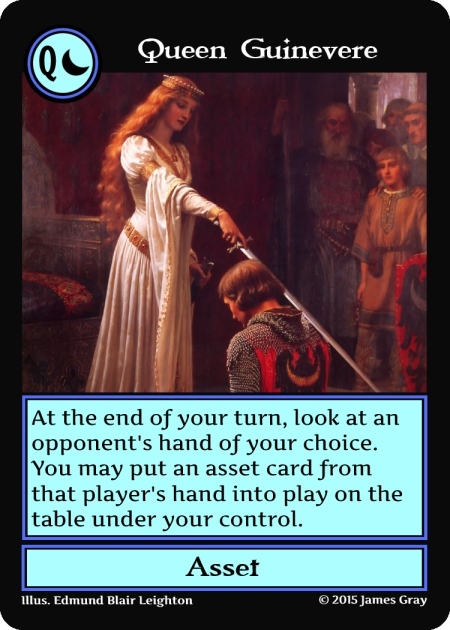 I also made clarifications about putting asset cards into play from card abilities and the end of turn.